I had always wanted to be a stay at home mom who works from home, but never quite figured out how. I mean, let’s face it… flexible jobs from home (that aren’t dead boring) are few and far between. I’d tried lots of different things over the years – photography, travel counselling, making and selling decorative signs, but none of those things were for me. Since my idea of the BEST life that I can imagine for myself is me at home with my baby, I determined to make it happen. 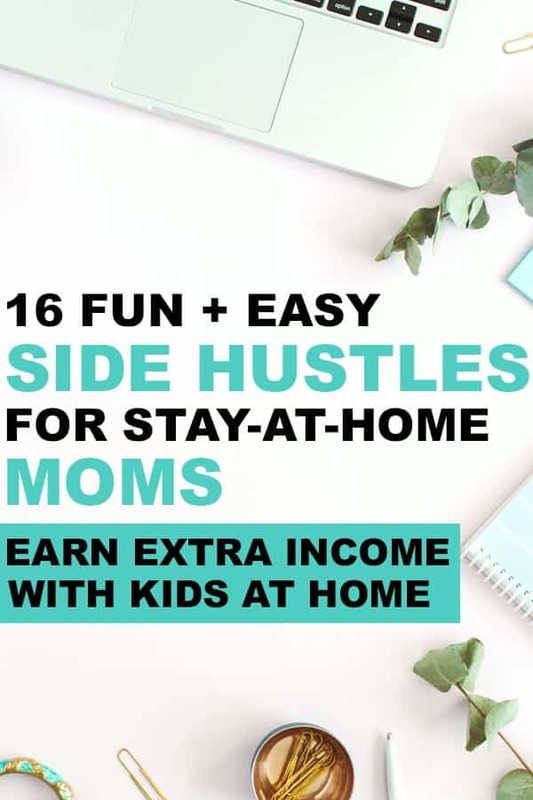 So I set out to find a way to earn an income from home with a side hustle, as a stay at home mom. All I needed was $1000/month, and I’d never have to go out to work. 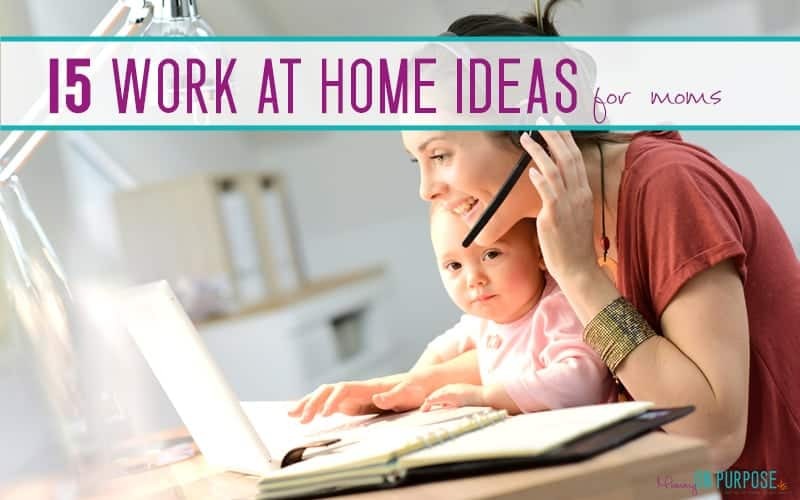 I know how hard it was for me to finally come up with work at home ideas / side hustle ideas for moms – that worked for me. 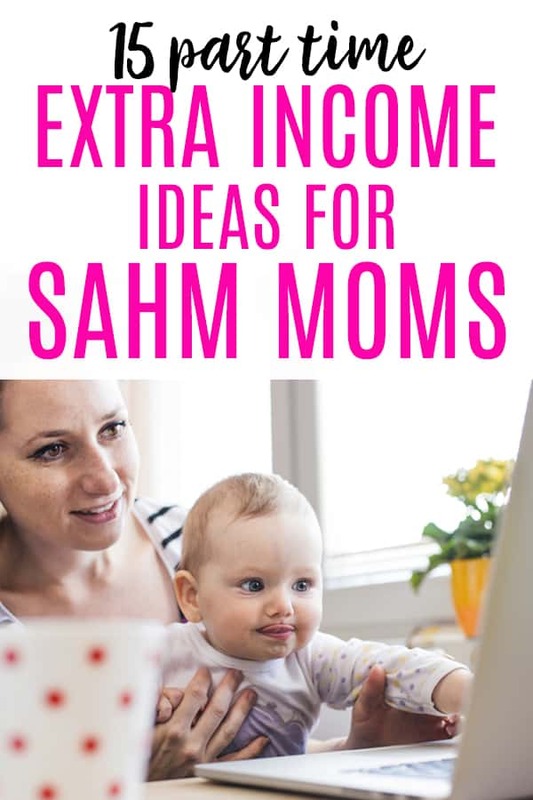 Maybe you’ve been struggling trying to find something that YOU can do, to earn extra money on the side from home, as a mom. IF you’re just looking for coffee money I recommend joining Survey Junkie if you want to do a few paid surveys for fun – (Survey Junkie is awesome for that) or you can find a larger list of legit online surveys that pay here. BUT surveys on your phone isn’t a real work from home income – no matter how much we wish it was! ♥ Start a day home – My cousin used to make over $3000 / month watching other people’s kids WHILE she watched her own kids. From home. ♥ Become a Freelance Writer – I write almost all my blog posts at nap time, or in the evening, or I stay up a little later and write while my baby sleeps. And I LOVE to write, so it doesn’t even feel like work. An easier way (than blogging) to guarantee that you get paid for writing, though, is to write for other people as a freelance writer. ♥ Become a Virtual Assistant – The more people working online, the more people hiring other people to do work online for them. I’ve used a VA myself from time to time. ♥ Photography – For me this will always be the “job that got away”. I still take photos with my mom on the weekends. I just never could get up the nerve to really tackle it on my own. 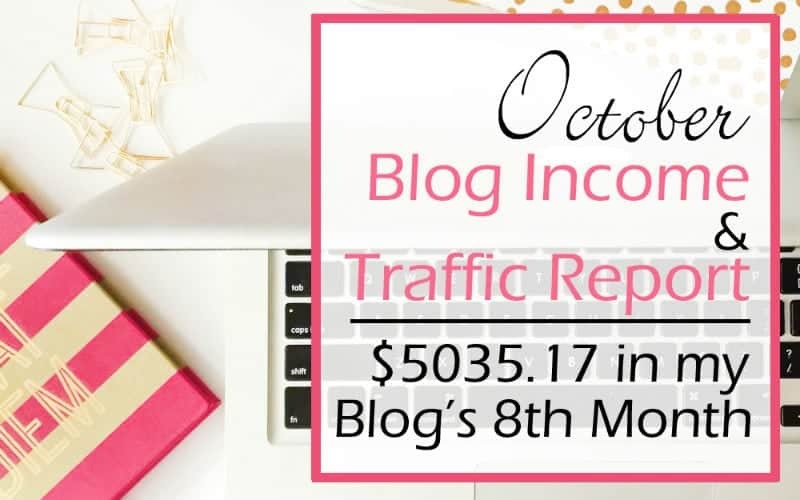 ♥ Start a blog – I make over $3000 / month from home, blogging. BUT it is not for the faint of heart (or poor of grammar. It’s just not.) 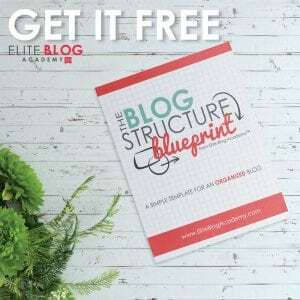 I have a completely free course for beginners on how to start a profitable blog here. Blogging also takes quite a lot of TIME – but the earning potential is quite a lot greater than most other work from home jobs. ♥ Sell something you LOVE + use yourself (like Tupperware or Norwex) – The same cousin that used to have a day home now sells Tupperware instead, and makes crazy good money doing it. They even give her a cruise every year and a free car. ♥ Become an English Teacher – Great if you have a bachelor’s degree, native English accent, and interest in teaching young kids in China English. Some of the most popular organizations include VIPKID, gogokid, HAWO, and EF Education First. ♥ Buy Discounted Products And Resell Them On Amazon.com – If you love to find bargains and can’t get enough of the clearance aisles, then selling on Amazon may be for you! Jessica from TheSellingFamily.com was able to take her love of finding deals and turn it into a 6-figure side hustle in just 1 year. 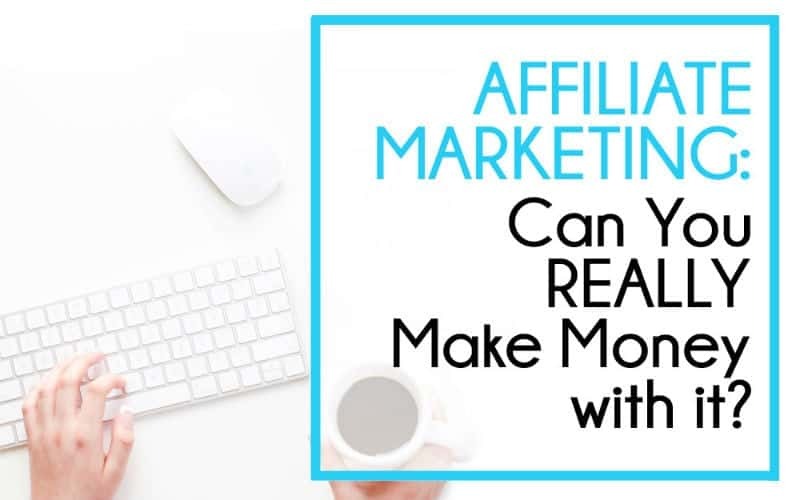 You can grab a free 7 day email course right here and she will explain everything you need to know about how it all works and help you decide if it’s the right choice for you. ♥ Be a pet sitter for people on holiday – Not for people with allergies. But people love their pets and are more than willing to spend money on good care for them. ♥ Esthetician (do nails, hair, facials etc) – My mom did hair and nails from home for 20 years. She is my inspiration to BE a work at home mom, and this is the thing that she did, from home. ♥ Provide a Laundry Service (Wash / Dry / Fold) – Anyone with a washer, dryer, and iron can do this. No special skills required, and you can do it while the kids are awake. Bonus! ♥ Become a Graphic Designer – My sister does this! The learning was a bit more intensive, but if you’re naturally graphically inclined – why not? ♥ Tutor (math, English etc) – Lots of kids just need someone to help them with their multiplication. 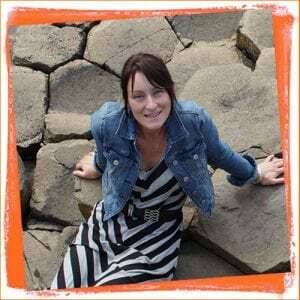 ♥ Be a travel counselor – Another job that got away from me. I REALLY wanted this one to work. But I also wanted to help people travel as cheap as humanly possible… so I kept shooting myself in the foot with that. Travel agents work on commission. ♥ Be a home based photographer – My good friend Maggie is a stay at home mom who is also a wedding photographer in central Alberta! 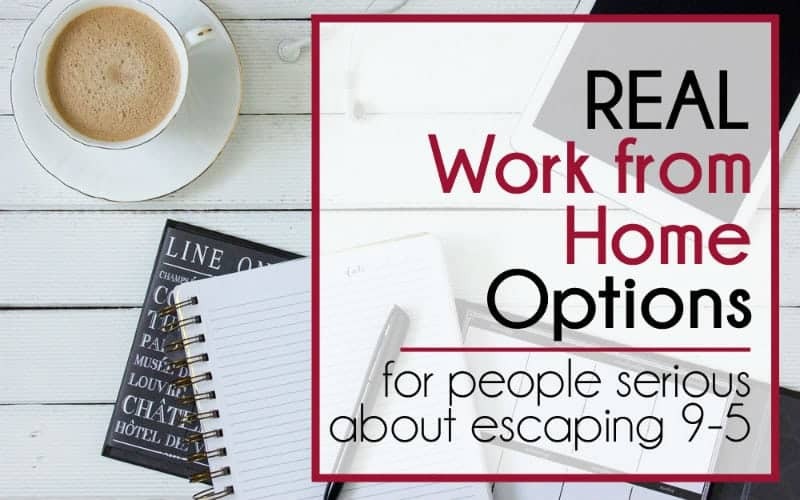 Working from home became a reality for me when I decided it was necessary, if I wanted to live my BEST life. Is your dream to make a living from home? Then MAKE it happen for yourself. Get out there and find a side hustle mommy! I was very blessed to be able to start my blog before my baby was born, and I know that. But I know many, many women who began their side hustles after their children were born, and they’ve done just fine.